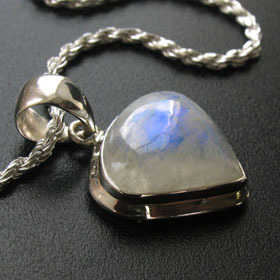 Large rainbow moonstone silver pendant. 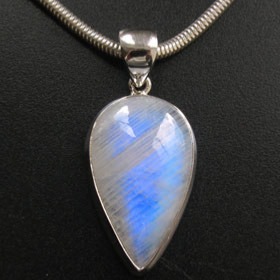 This superb long oval of rainbow moonstone is alive with exceptional electric blue schiller. The blue floats through the entire stone as it moves in the light. 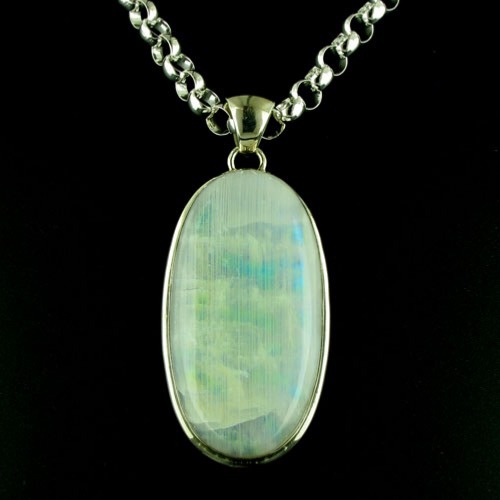 The surface of the stone has very fine white lines vertically down the length, visible in certain lights. 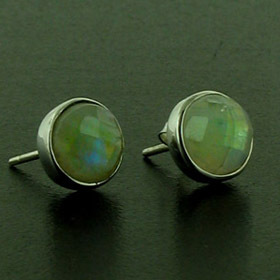 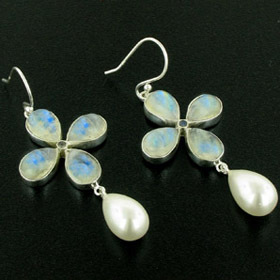 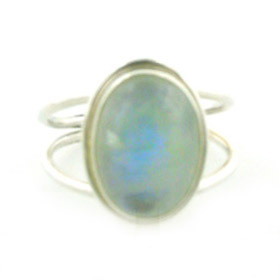 Set into a plain sterling silver frame this gemstone makes an excellent piece of prized moonstone jewellery. 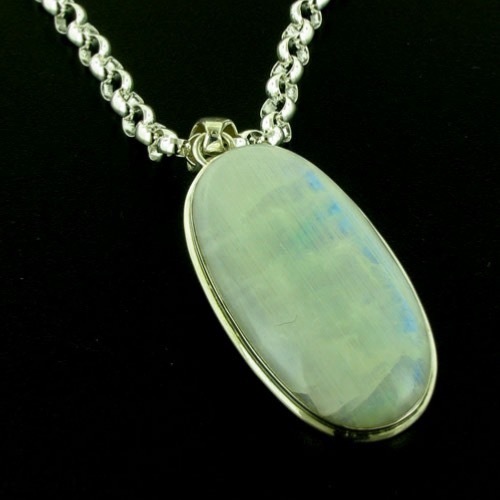 This is a large moonstone pendant which will wear well on a long length chain as well as a standard length chain. 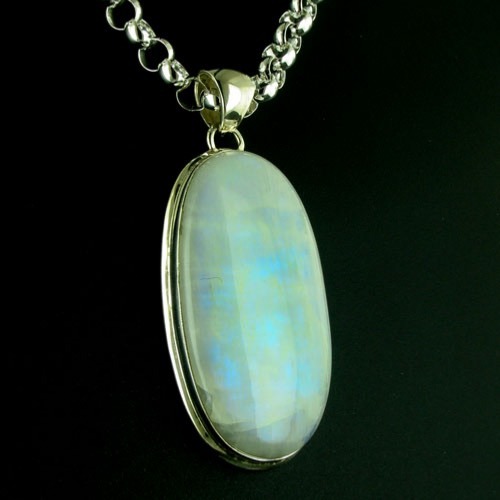 We love our silver belcher chain, width 6.5mms with this pendant. 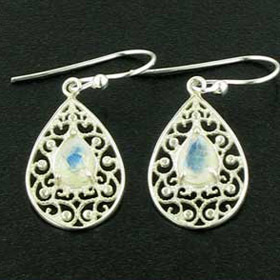 It's available in lengths 16" to 30". 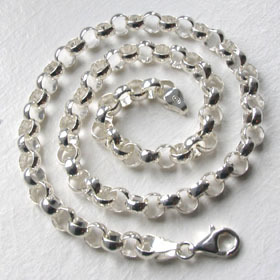 We have a wide range of silver chains in various widths and lengths. 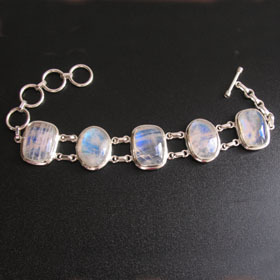 To see all our chains, browse our collection of Italian sterling silver chains.